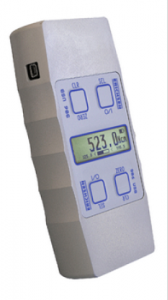 The Measuring System PHYSIMETER 906 USB is used for the acquisition of mechanical parameters based on wire strain gauge sensors. The ergonomically designed housing made of anodized, high-strength aluminum, is provided with threaded bores at the front side so that an unproblematic connection to the ERICHSEN testing machines is guaranteed – as it was also the case with the preceding models of tensile and pressure measuring devices. As an option a calibration according to VDI/VDE 2624 sheet 2.1 – Measurement of mechanical quantities – Instructions for calibration of mobile force measurement systems – is available. With integrated or external force sensor and USB interface.